When I was a family solicitor, I would often tell clients that, in an ideal world, he or she would have a trusted person with whom to discuss their situation. Friends and family can be wonderful but they may not always be impartial or they may have outdated ideas about who you are and what you most need. Talking things through with me, as her solicitor, was not only an expensive option, but also meant she may feel less free to take her time and road test ideas before committing herself to a particular course of action. Separation inevitably means having to make a number of important decisions. Some, such as what to do with the family home and where to live should it be sold, are challenging but to be expected. But so many other issues arise with the change in status from being part of a couple to being newly single. Should you train for a new career? Can you afford to do that? How will you navigate your joint friendships post-separation? How will you create a new social life for yourself? How would you like that to look? Even providing meals for one rather than two, or having to deal with all the bills, or getting the car through its MOT can be daunting when you are not used to it. And, if there are children involved, this invariably brings another raft of complications. A skilled, experienced coach can be invaluable in these situations – someone who can really listen to you and reflect back the essence of what you are saying when your mind is all over the place. It’s a space to take stock and think through how you would like your new life to be. I can also help you consider all your options, to pause and assess whether you are allowing your emotions to get in the way of the choices that would best serve you; explore whether you have all the data you need to make informed choices. My background, as a family lawyer and mediator, means that I understand the boundaries of what can be achieved through coaching and what needs the input of your lawyer or such other experts such as accountants and valuers. For example, we might explore whether Brighton or Barcelona is a preferable location for your new life, or the kind of work you might wish do to make up your income; but we won’t discuss whether you need to make an application through the courts or how to invest your pension. Also, depending on the emotional impact of the separation, you may benefit from therapy or counselling. As the section on this site ‘What is coaching?’ explains, coaching is neither of these things. Of course, no-one can promise you a happy ending. Your ideal outcome may not be possible for all sorts of financial, legal, emotional and other reasons. But a good starting point is to know what you want. As your coach, I’ll help you discover that. 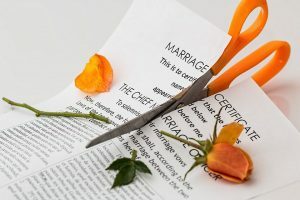 I can also provide ongoing support during the separation process as your options evolve and you become more accepting of your new status and gain confidence and a degree of optimism in the new possibilities that will bring. If you are separating and feel that you might benefit from coaching, please contact me for a free initial consultation. If we both feel that we are a good fit, I would be delighted to help you navigate your way through this life-changing experience.